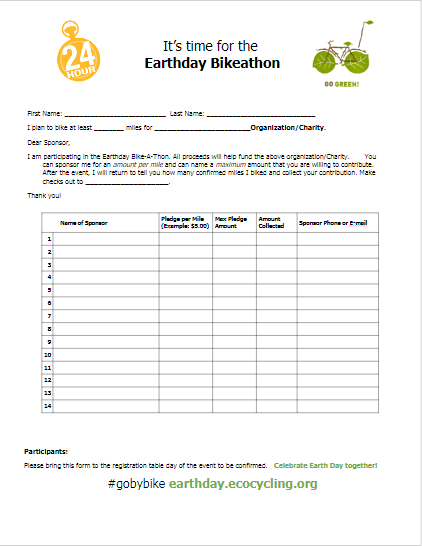 Reserve your ticket to ride on the earthday event and fundraise for the charity or non-profit organization of your choice. Remember you don’t have to ride all day just as long as you would like within the 24 hour period. 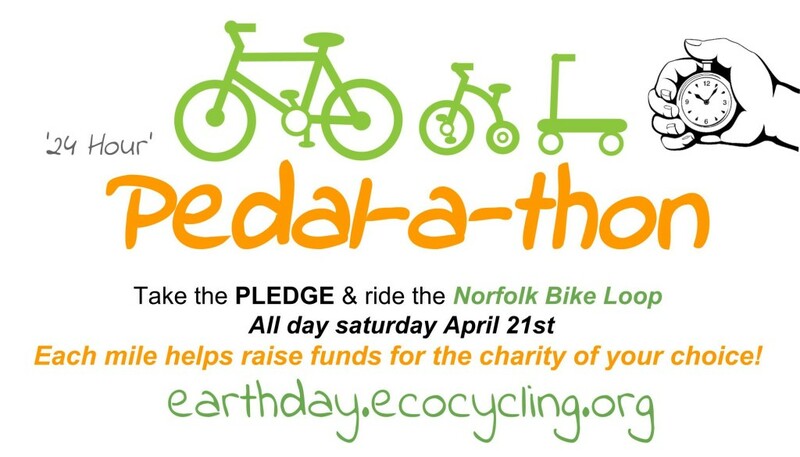 Talk to your family, friends and others about them sponsoring you for each mile you ride on the Norfolk Bike Loop. Every mile can mean contributions to your charity organization. Sponsors can also choose a “flat amount” to give. Download the pledge card & start to fund raise for the charity of your choice! Get familiar with where you’re going before you ride by saving, downloading and even pre-riding the route in advance. Several documents/links are also saved on the map for your convenience. Be sure to tell the world about what you’re doing and why! Send emails, phone your friends, share on social media shout it out from the New Jordan bridge…whatever you do make it known.